Representative Ingrid Burnett (D) – May 15, 2018. 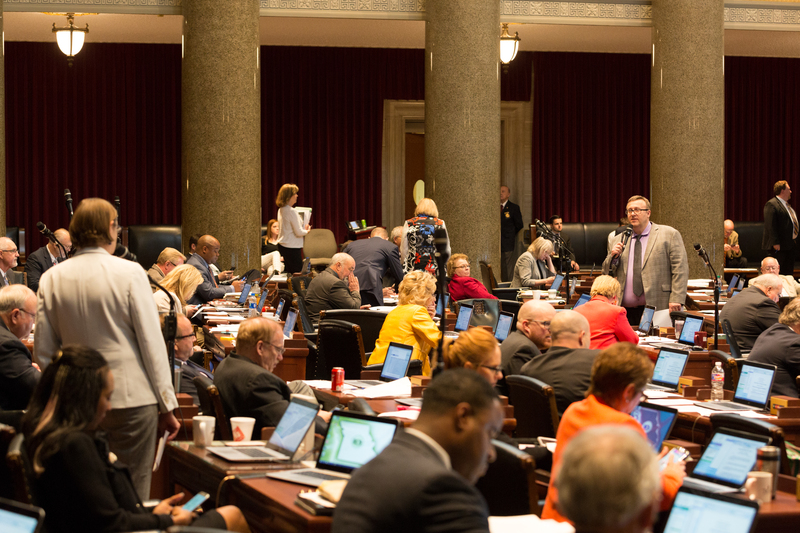 After tonight there are three days left in the regular legislative session. Time is running out. Bills are going back and forth between the Senate and the House. If there are differences then one house needs to accept what the other has done, or they can refuse and go to a conference committee. That takes time. Rep. Ingrid Burnett (D) (left) and Rep. Bryan Spencer (R) (right) – May 15, 2018. 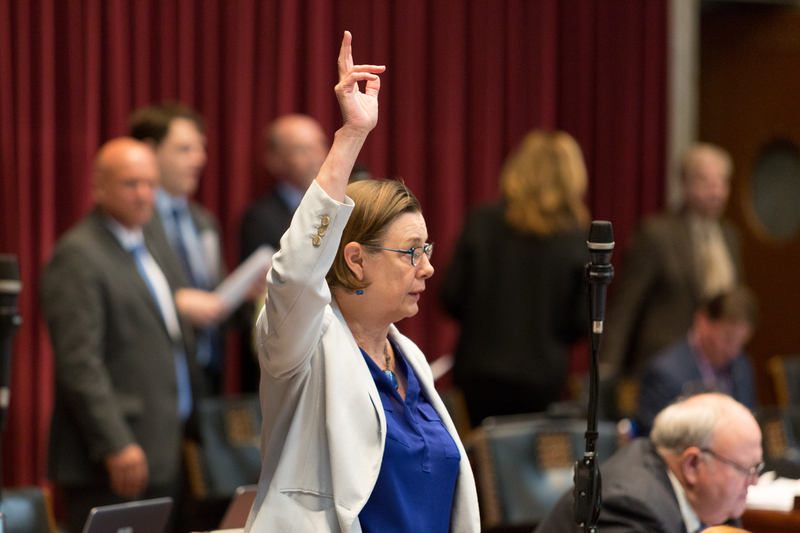 By a voice vote, #MOHouse refuses to recede from its position on SBs 603, 576 & 898 (Virtual Education) and grants the Senate a conference & allow conferees to exceed the differences. Oh oh, exceeding the differences is always a red flag. Gotta pay attention.